Climb to the top of Peace Tower for sweeping vistas of the river and the city beyond. Built after the first world war in remembrance of the men who died fighting, the tower stands at an impressive 92 m (302 ft) tall. Venture inside and you’ll observe beautifully designed and decorated rooms with high ceilings, ornate stained glass windows, and amazing stone arches. See how many gargoyles you can spot adorning the tower's exterior. 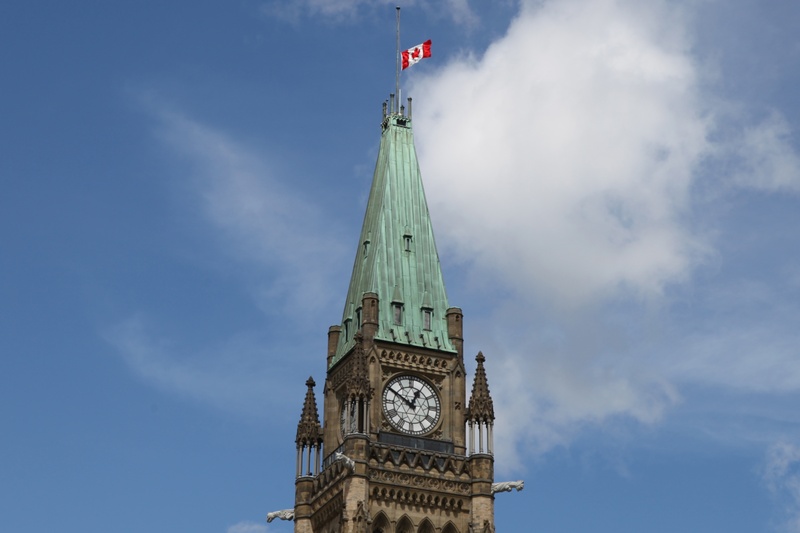 Plan to visit Peace Tower during your Ottawa vacation using our convenient Ottawa trip itinerary site . Always nice to go back. It is so a beautiful building, tellemen nice welcome. The guides are perfectly bilinguees and kind. The view is superb!!! The Peace bell tower of the country is supposed to be the most important landmark building in the heart of Ottawa. Visit the last of the tour of the country's mountain. is to take the elevator up to the observation deck of the clock tower. Overlooking the centre of Ottawa. Every day, we help thousands of travelers plan great vacations. Here are some tips on how to use your Listing Page to attract more travelers to your business - Peace Tower. Promote your permanent link - https://www.inspirock.com/canada/ottawa/peace-tower-a321146697 - on your website, your blog, and social media. When a traveler builds a plan from this page, the itinerary automatically includes Peace Tower. This is a great way for travelers looking for a great vacation in your city or country to also experience Peace Tower. Promoting your link also lets your audience know that you are featured on a rapidly growing travel site. In addition, the more this page is used, the more we will promote Peace Tower to other Inspirock users. For best results, use the customized Trip Planning Widget for Peace Tower on your website. It has all the advantages mentioned above, plus users to your site can conveniently access it directly on your site. Visitors to your site will appreciate you offering them help with planning their vacation. Setting this up takes just a few minutes - Click here for instructions.